As the sea represented the source of constant danger, sustenance, discovery, and location where almost all ancient civilizations formed, religious and superstitious beliefs spawned many mystical creatures that resided beneath the surface of the water. 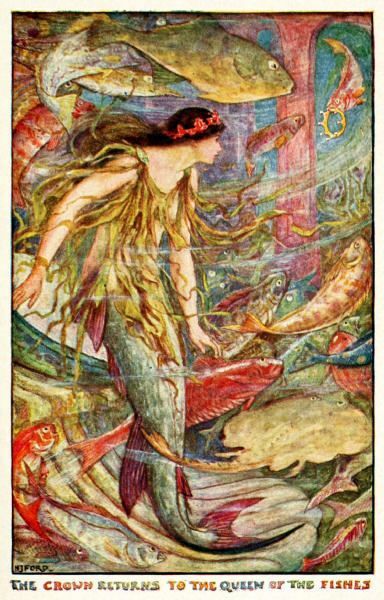 One of them is the creature who survived trough millennia in the folklores of many civilizations – beautiful and dangerous mermaids. Since the dawn of time, human civilization explored the world and found in it many unexplainable things that soon became infused in our religion, beliefs and myths. 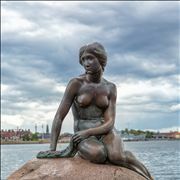 One of those legends that managed to appear in almost every culture around the world were mermaids, supernatural aquatic creatures that are most often depicted with a torso of a beautiful woman and a fish-like tail. Male counterparts got the name mermen, and their species merfolk or merpeople. As the sea presented itself as a constant source of danger and discovery in an early part of our history, myths surrounding those unexplained areas of the earth became more or less universal. Possible origin of the mermaid myth can found in manatee or dugong sightings (their general shape can sometimes resemble human form, especially in the way they operate with their young), but all the scientific studies proved without a doubt that merfolk are just a myth and all concrete claims of their existence were shown to be either false of the hoax). Even though their existence is proved to be impossible, their constant presence in our culture enabled them to survive even until these modern times. 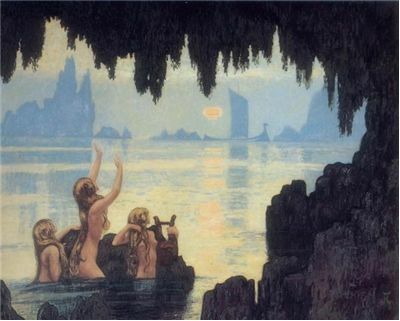 Legends and myths about mermaids filled the minds of people from the dawn of our civilization few thousand years ago to the modern day where we have all but completely conquered secrets of the sea. 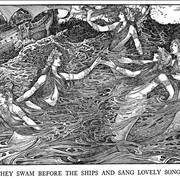 For some sailors mermaids were precious creatures that should be cherished and protected, but for some, they were the bringers of destruction. Countless myths surround these legendary creatures, and here you can find more about them. 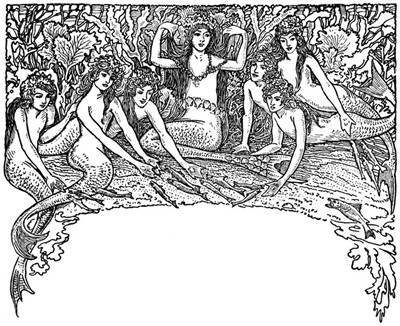 The facts that mermaids gathered around themselves during the millennia are numerous and impressive. Here you can find out how humanity categorized mermaids into types and countless other stories about them. 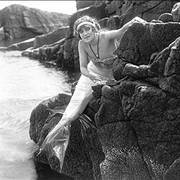 Legends and myths of mermaids can be traced to some of the oldest human civilizations on Earth. Ancient Babylonians, Polynesian tribes and Syrians all worshiped merpeople in some form or another, from being simple sea creatures to publicly respected gods, such as Syrian mermaid moon goddess Atargatis (sometimes called Derceto). Those beliefs slowly spread across the entire world, from Greek religion to the west (where the god of the sea Poseidon had a merman son Triton) to the distant Japan where mermaids had the power to grant immortality. 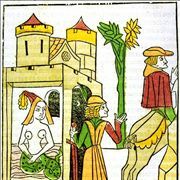 Greek mythology had an especially significant influence on the spreading of mermaid legend across Europe. 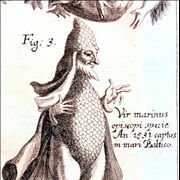 They appeared multiple times in their culture, arts (they attempted to lure Odysseus to his death in the sea) and legends (such as young fisherman Glaucus who found a mystical grass which changed him into merman). 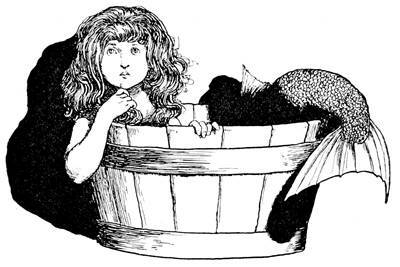 In all civilizations around the world, mermaids had many different abilities, powers and were not always friendly (especially in the beliefs of the people in British folklore, where they were presented as ominous creatures that lure sailors to their deaths). 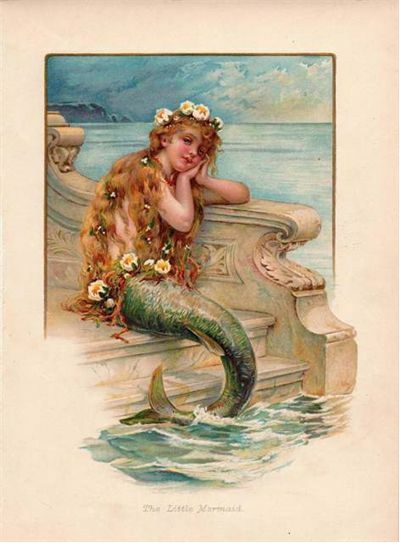 Irish sailors, however, had a much more romantic view of mermaids, and the taking of sailors under the sea was considered to be an act of love (with the even possibility of the pair marrying each other, and coming to the land to live their lives in happiness). All of those myths managed to infuse mermaids into modern arts. 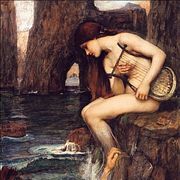 They can be found in Greek pottery, decorations of medieval churches, coat of arms, paintings (the most famous one is John William Waterhouse's "The Mermaid" that was painted between 1895 and 1905), novels, films and other works of art. In all of them, mermaids are depicted as beautiful creatures that are curious of human life. 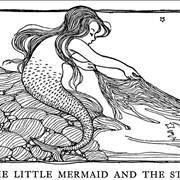 This fact was greatly popularized with the 1836 fairytale "The Little Mermaid" written by Hans Christian Andersen. 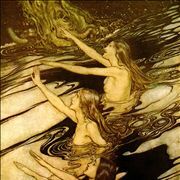 This story became the gold standard of the modern view of mermaids, and popular Disney adaptation of his fairytale (in which young mermaid princess trades her voice to gain full human form in a quest to win a love of a prince) only solidified the popular view of this mythical creature.